Rent 1300 on Fillmore | Corporate Events | Wedding Locations, Event Spaces and Party Venues. 1300 on Fillmore is a restaurant and lounge that draws on the rich cultural history of San Francisco's Fillmore Jazz District. The restaurant serves "Soulful American" Cuisine, accompanied by a list of the finest California wines. Soulful American Cuisine prepared as interpreted by internationally recognized chef David Lawrence. Lawrence combines classic French cooking techniques with hints of southern flavors using fresh, California seasonal ingredients. His north-meets-south cuisine includes imaginative creations such as dungeness crab and corn cakes, fresh water shrimp hush puppies, as well as refined interpretations of southern favorites including macaroni and cheese and okra succotash. 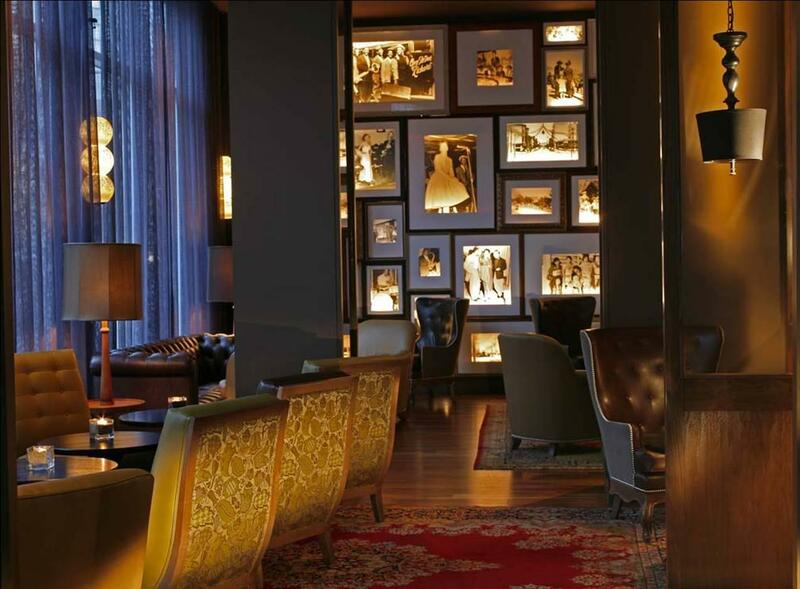 Highlights include a heritage wall with portraits of the Fillmore’s vast array of blues and jazz legends. The décor is eclectic and familiar, achieved by co-mingling vintage-inspired fabrics with modern interpretations of classic furnishings. Security Deposit is 50% of Food and Beverage Minimum. We have an in house Pastry Chef that can do Wedding Cakes, Birthday Cakes, Custom Desserts, Dessert Stations, etc. We have Gospel Brunch on Sundays with seatings at 11am and 1pm. Live Music on Friday Nights starting at 8:30pm.